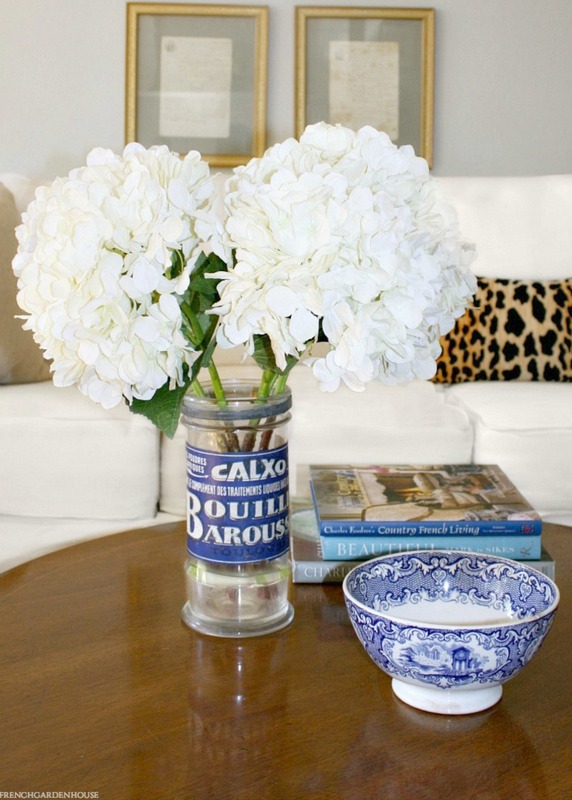 Bring the beauty of your favorite flowers into your home with this gorgeous set of faux hydrangea stems. Curated in elegant and classic colors, these realistic blooms carry the soft light buttercream cream to white colors of a French garden in summer. Realistic looking, with full petals and green stems, some have leaves, others do not. Wonderful together, or one each in individual vases for a stunning dinner party table. Set of 5.